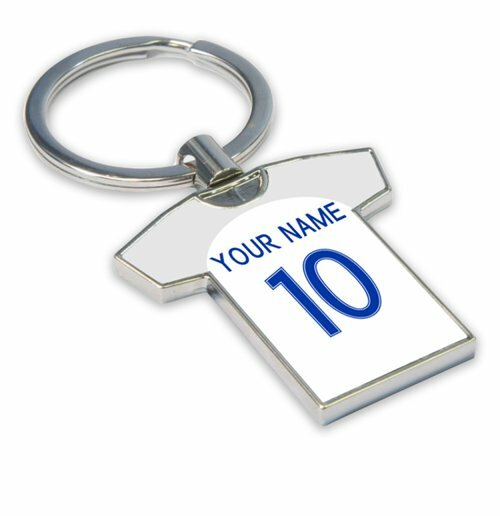 Personalised England Football Shirt Key Ring. Find the perfect gift with our England football shirt key ring. High quality keyring in your club colours will make the perfect present for Christmas, birthdays or any special occasion. Extremely high quality and one of our best selling England gifts.Personalise this keyring with any name and number combination.